Another tough, seaworthy build from British designers and builders Orkney. This Orkadian 20 is a fantastic semi displacement cruising boat, blending first class sea-keeping with comfortable and practical accommodation. This particular Orkadian 20 is presented in great condition and had a new engine fitted in 2007. A full service history is available with the new engine. 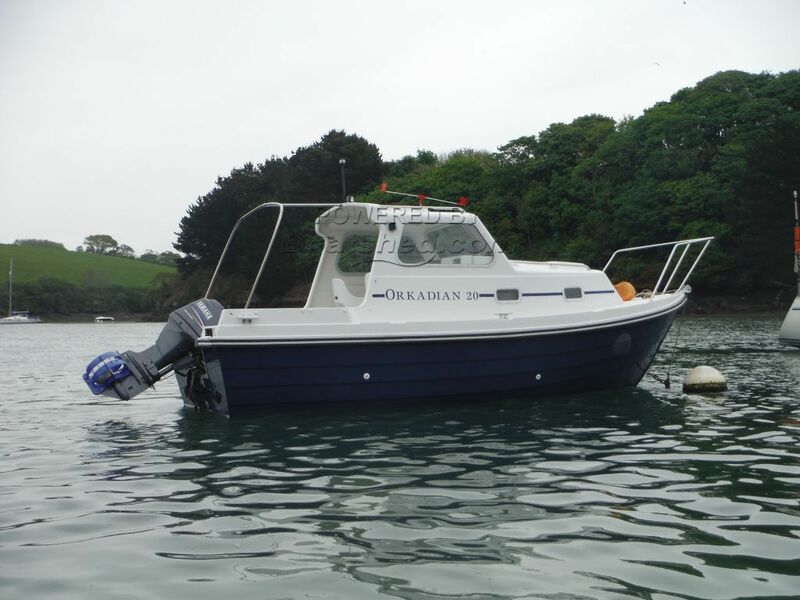 This Orkney Orkadian 20 has been personally photographed and viewed by Chris of Boatshed Falmouth. Click here for contact details.